The ultimate learning experience tailored to your specific needs and goals. Go one-on-one or in a small group of family or friends of similar ability. 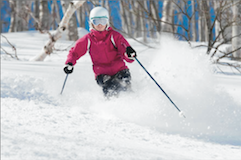 Boost your confidence on new terrain, find your rhythm in the powder, explore the groomers or bumps, or hit the terrain park with one of our expert instructors. Private Lessons can include video camera use for immediate technique analysis, as well as catching all the action. 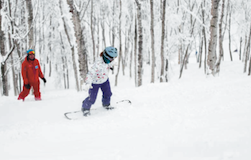 Lux Private lessons include your choice of start time, pick-up and drop-off at any accommodation in Myoko or on the slopes, and a printed photo of you in action during your private lesson. 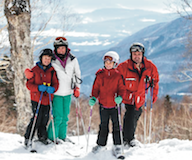 You may also choose multiple days at other resorts including Ikenotaira, Suginohaira, Seki Onsen and Madarao/Tangram. 5 day private packs may include one day's lesson at either Ikenotaira or Suginohaira and may be used over a period of 6 days. 3 day private packs must be used on consecutive days. 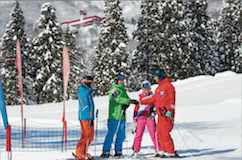 Lesson Groups: Myoko Snowsports strongly recommends against mixing students of different ability levels and/or ages in the same lesson. Skiers and snowboarders cannot share the same lesson.